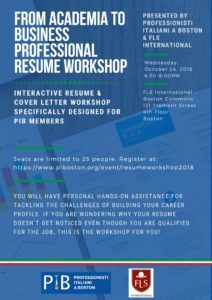 PIB and FLS present: From Academia to Business – Professional Resume Workshop! Updating your resume? Writing another cover letter? And all in ENGLISH? Not to worry! 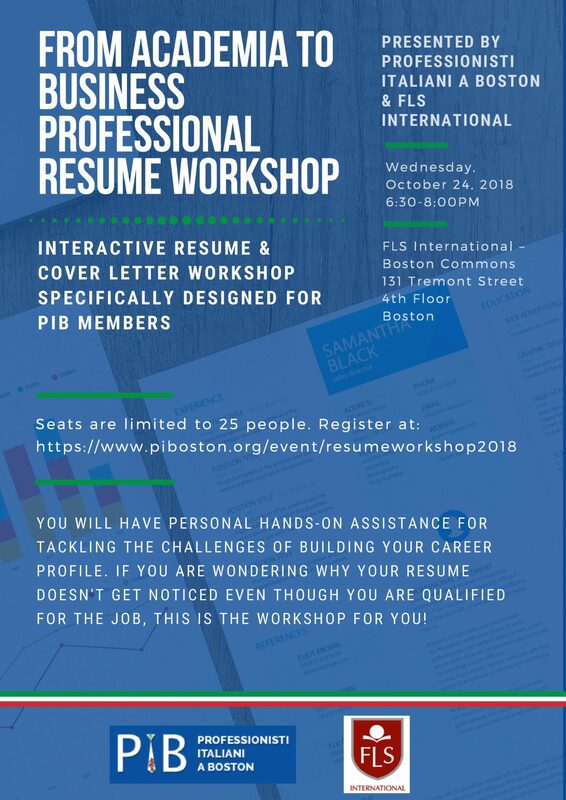 Come join us at FLS Boston Commons for an interactive resume and cover letter workshop specifically designed for PIB members. You will have personal hands-on assistance for tackling the challenges of navigating the nuances of building your career profile. If you have ever felt unsure of your communication skills and cultural fluency, this is the workshop for you! Seats are limited to 25 people. Don’t miss out and complete the free, mandatory registration form on the right side of this page.